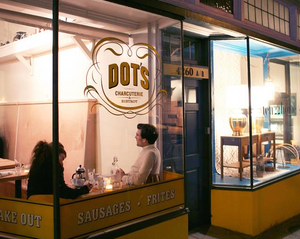 Dot’s in Fremont, back in the day. It won’t have any chefs flipping shrimp onto their toques or showing off their knife skills, nor will it have any sushi. “I am Japanese,” Sugawara says, “but the reason I don’t go to Japanese restaurants is because they’re too Americanized” — an ironic stance for an owner of a branch of the giant, Americanized Benihana chain. But she says Suga will serve “Japanese family comfort food,” the real deal. She hopes to be open by the end of January.